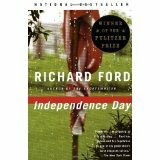 This book was read by Meredith Lewis, a Reference Librarian at (mostly) the Orange County Campus Library. 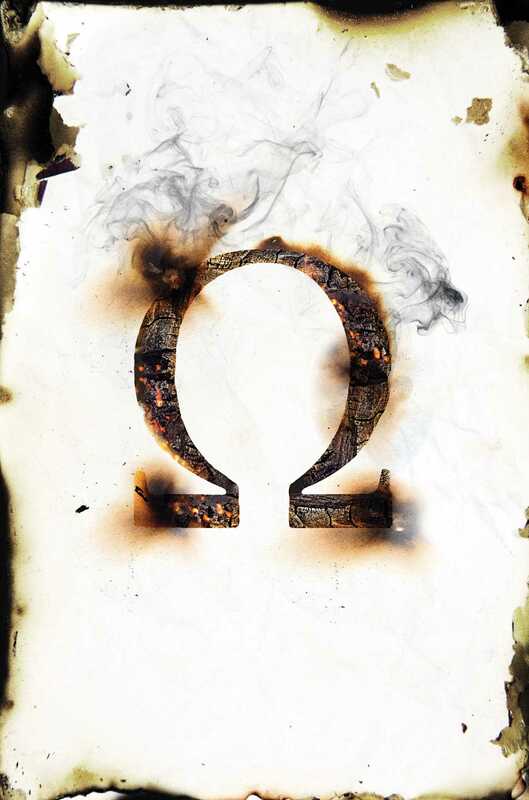 If we’re being honest, the cover was impressive—a picture of a burned out Omega symbol with no other text and artistically “burned” corners. I picked it up, realized it was dystopian lit without a zombie apocalypse (nuclear destruction, yes) and not focused solely on romance (those are not my favorites), so I picked it up… and read it in two days. During the work week. I liked that, despite being yet another book in a pretty common genre nowadays, it had its own vibe, and I wasn’t constantly comparing it to the other books in its dystopian genre. The twin idea that this world is centered around is unique—after a period of very few births post-nuclear blast, two twins are born in every birth. One is deformed in some way (missing leg, extra eye, etc. ), the Omegas, and they are separated and subjugated in society run by the “normal” twins, the Alphas. I also like that I’m pretty sure Cass’s twin Zach is just simply evil (I don’t trust the guy), but I still, at the end of the first book, can’t quite tell. A little mystery is a good thing in the first book in a series. Anyone who liked The Hunger Games or The Red Queen or The Queen of the Tearling other dystopian novels that deal with a broken societal structure becoming even more broken. Other reviews compare it to Cormac McCarthy’s The Road, too, but not nearly as bleak. It’s a pretty fast and engaging read, too, so I’d also recommend it to someone who didn’t want a tough read. Some fresh, clean water–this book did kind of make me thirsty. Maybe a good pair of walking shoes and fresh socks, too. Interested in reading The Fire Sermon for yourself? 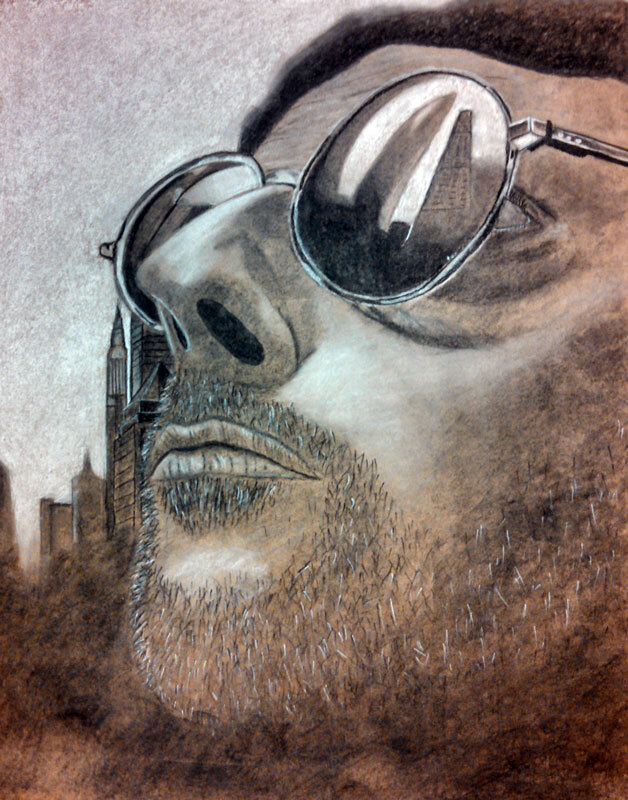 Check it out from the library! Want to read The Map of Bones, the second book in the series that will be coming out May 3? Use the book request form to ask the Durham Tech Library to buy it. 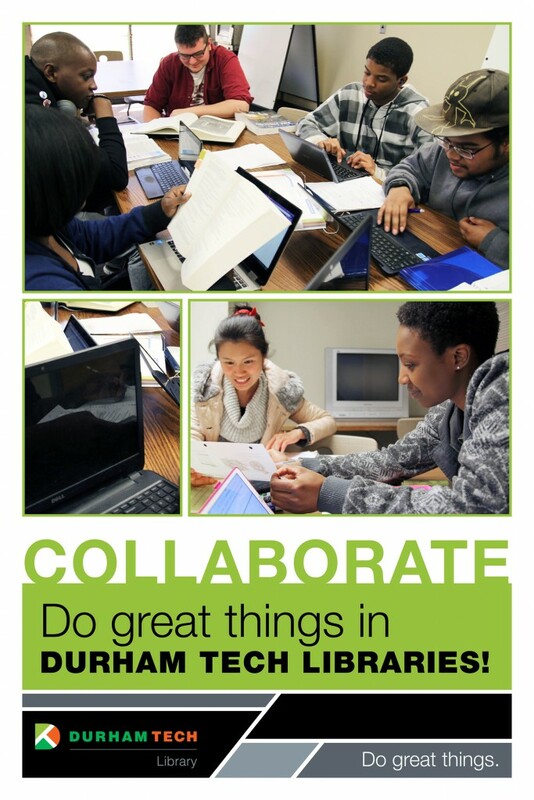 Shout out (again) to the Durham Tech Marketing Department! 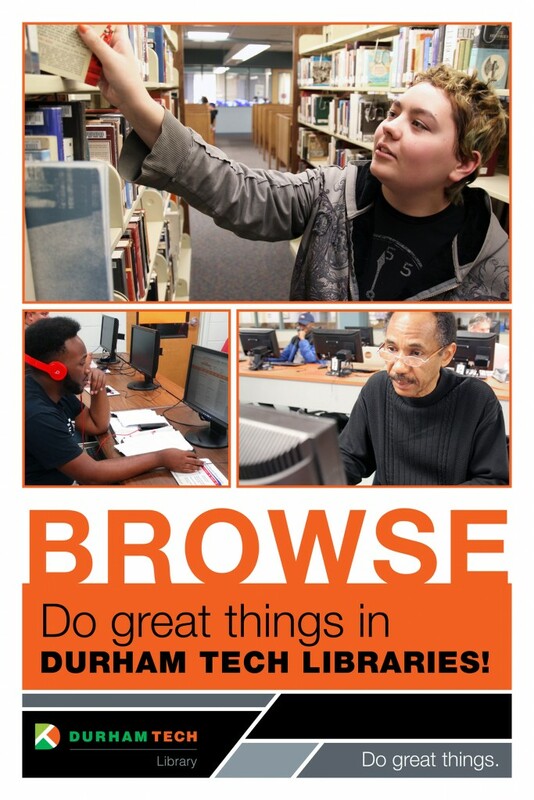 Shout out to the Durham Tech Marketing Department! 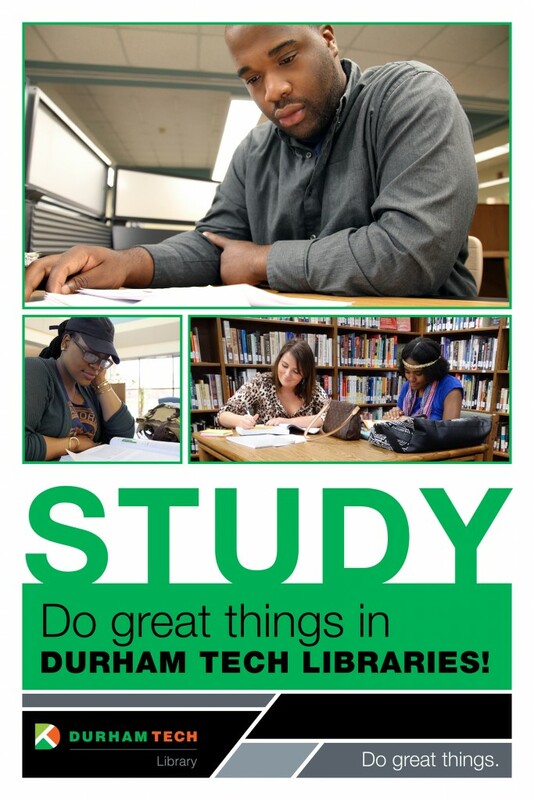 Over the week, we’ll be digitally unveiling our new posters featuring Durham Tech students about ways that the Durham Tech libraries are here to help you transform into your most successful self. 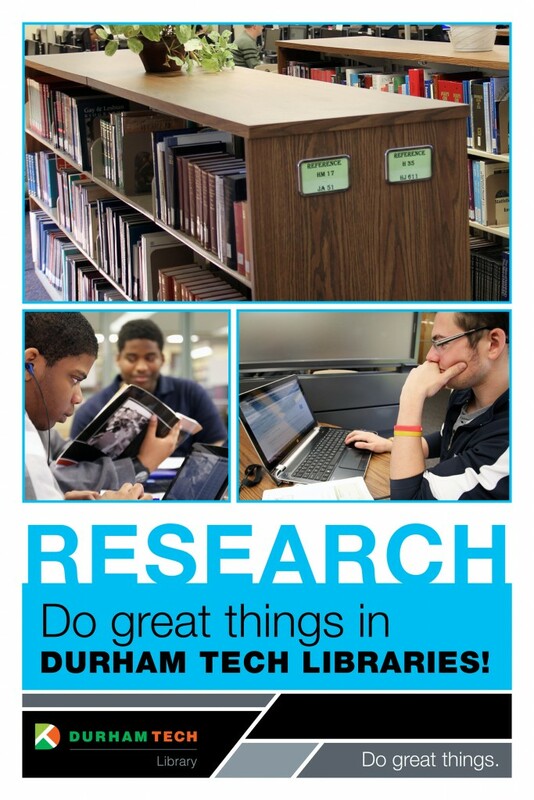 The posters will also be on display by the end of the week around our campus libraries for you to see in person. 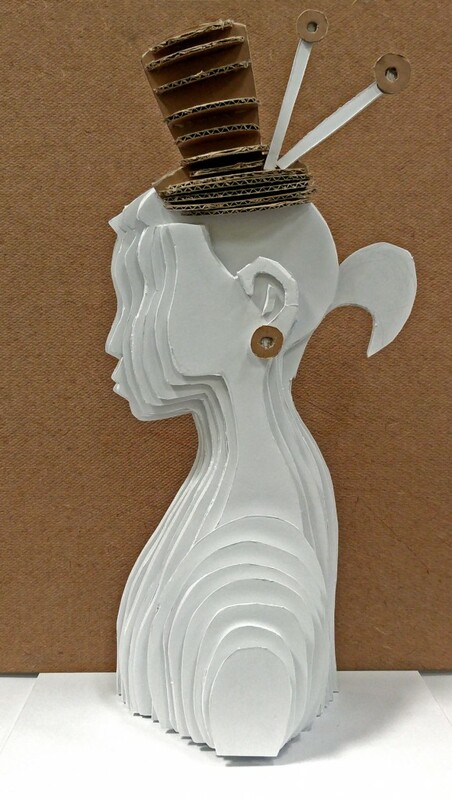 Come on in and check them out*! *Figuratively– these posters are not to be taken out of the library, but you’re more than welcome to take a book or DVD home!